Award-winning filmmakers Rodolfo Moro and Marcos Duszczak are the creative team behind a parallel film in Argentina, Familias por Igual. The film was widely praised, receiving several prestigious awards that added momentum to Argentina's LGBT equality movement. 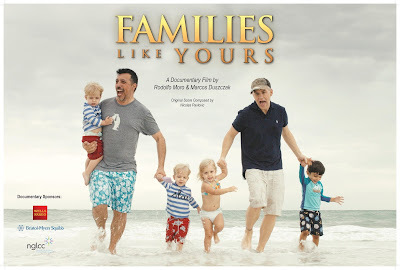 Families Like Yours will next be screened at the 2017 NGLCC International Business & Leadership Conference in Las Vegas, ahead of submissions to film festivals and LGBT conferences around the world. 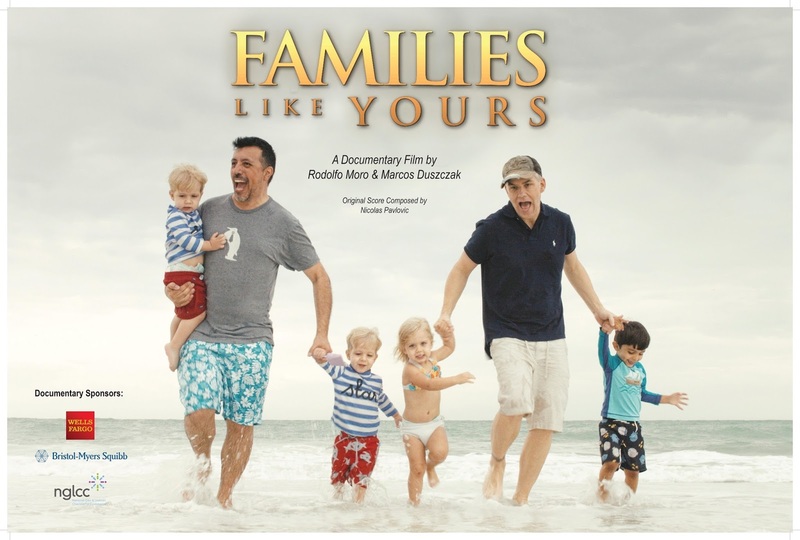 The National Gay & Lesbian Chamber of Commerce (NGLCC), the business voice of the LGBT community, is proud to announce the world premiere of Families Like Yours, a powerful documentary exploring the love, compassion, sacrifice, and success of LGBT families in America. Bristol-Myers Squibb, Dk Realizadores, NGLCC, and Wells Fargo underwrote the film's production. Deutsche Bank and Hilton presented the premiere screening in New York City on July 17, 2017. Through candid interviews and humorous real life stories, Families Like Yours demystifies LGBT families and their lives, showcasing that they are just as loving, busy, and complicated as any other family. Families Like Yours follows five families as they attempt to balance work and school, rush kids to sports practice, and deal with diaper duty. From all across the nation and in all different stages of family life, from conception to grandchildren, these families represent a cross-section of the modern American family-- the only difference is that they are LGBT families. "It has never been more important to showcase the richness of diversity in America. LGBT families are a fixture of every community in this country, and Families Like Yours demonstrates why love, dignity, and respect for all is a virtue that should unite each of us," said NGLCC Co-Founder and President Justin Nelson, who is an Executive Producer on the film along with NGLCC Co-Founder and CEO Chance Mitchell. "This film is dedicated to the brave and inspiring LGBT families across the nation who overcome discrimination and fear as they work hard, give back to their communities, and strive to achieve the American Dream just like everybody else." Award-winning filmmakers Rodolfo Moro and Marcos Duszczak are the creative team behind a parallel film in Argentina, Familias por Igual. The film was widely praised, receiving several prestigious awards that added momentum to Argentina's LGBT equality movement. Families Like Yours will next be screened at the 2017 NGLCC International Business & Leadership Conference in Las Vegas, ahead of submissions to film festivals and LGBT conferences around the world.